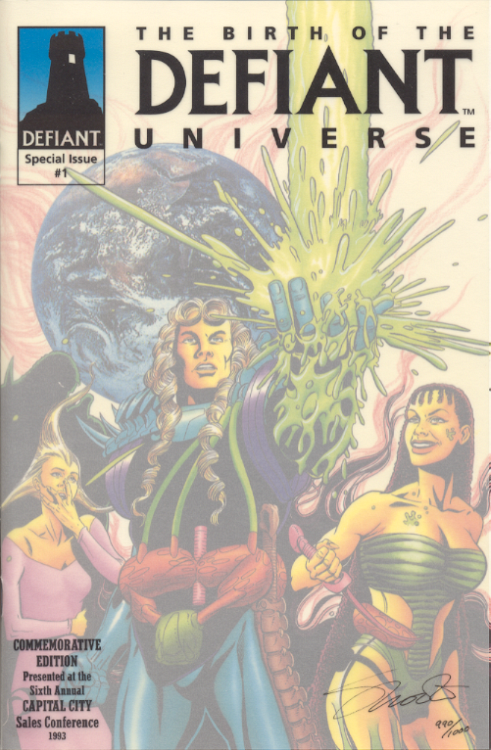 Uploaded a scan of the Birth of the Defiant Universe #nn comic. The individual scans were done by G. Warner. I've eliminated separate scans of the vellum overlay. To be complete, this was distributed with Gloves and a letter in an envelope. I udated the links above. The 'net78' host is going away, but since the idiots are still allowing the large pdf file to be viewed while none of the html pages work... I'm leaving it for now. The pdf has been removed from the new hosting site. I've provided an alternate download link above for it. In the last 24 hours, three copies of Birth of the DEFIANT Universe have sold on eBay. Someone's on a binge buying that book. I personally suspect whoever it is could be looking for slab candidates. Nice book to have, but I woudn't want a stack of them. That makes me think even more it's a DEFIANT slab collector looking for as high a grade copy as possible. In any event, this type of thing interests me greatly. I did some further research on the matter. The three copies of Birth of the DEFIANT Universe that sold in the last 24 hours were all described as NM or better by the sellers. There are only two raw copies listed on eBay now, the highest of which is graded by the seller at VF+. It's an interesting book. Those who focus on high grade are always searching for books to flip. Another Birth of the DEFIANT Universe sold. This one in CGC 9.0. I've never seen a stretch like this with multiple copies selling. At the moment there are 3 raw copies and one slabbed copy of this book listed for sale on eBay. Four copies of this book have sold on eBay in the last 17 days. I think it's likely the same buyer. Three of those copies sold within a 24 hour period. I doubt seriously that 3 different people suddenly for a hankering to buy a single copy. The copy that just sold may have been a different buyer. No way to tell. Even more peculiar is that it's unsigned and a blue label. Three listings. maybe we know who is buying them up? Are the letter and gloves worth $100? Good work. I didn't notice that one has gloves. They do seem extremely rare, don't they? I don't know. Maybe 10%-25% I see have gloves & the letter. What does blue label mean? "yellow label" means signed with a cgc stalker hovering over a creator's shoulder? Blue is the standard color. Most of these get a green "qualified" grade because they were signed. They only get a yellow label if the signature is witnessed by them. Green typically means there is something wrong with the book, but they are giving it a higher grade. I guess nobody would want a green grade if they shipped a book in for slabbing. I know a friend who stresses out about getting graded slabbed comics by cgc and he mentions the colors and I have no idea what he's talking about with the different levels. I tell him to try their competition instead and he says he doesn't want to because of the cgc brand name he wants. I'd try the competition if I was into that grading scene. Lonestar is so stupid. They grouped the gloves and letter with the lower graded book and put it a higher price instead of grouping it with 9 point whatever graded book. And those grades are not inside a case? Like anyone trusts mycomicshop's random grading on anything unslabbed. The gloves aren't a big deal. 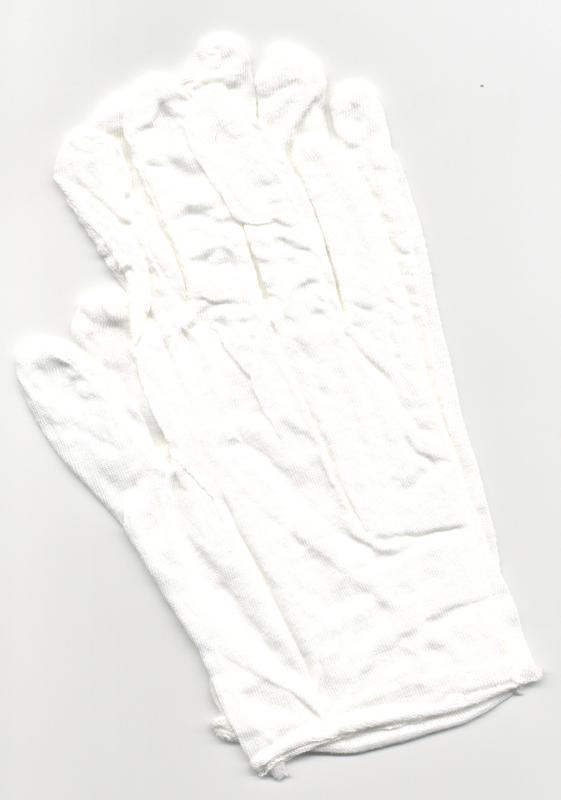 One can buy a set of white photography gloves and it's the same thing. 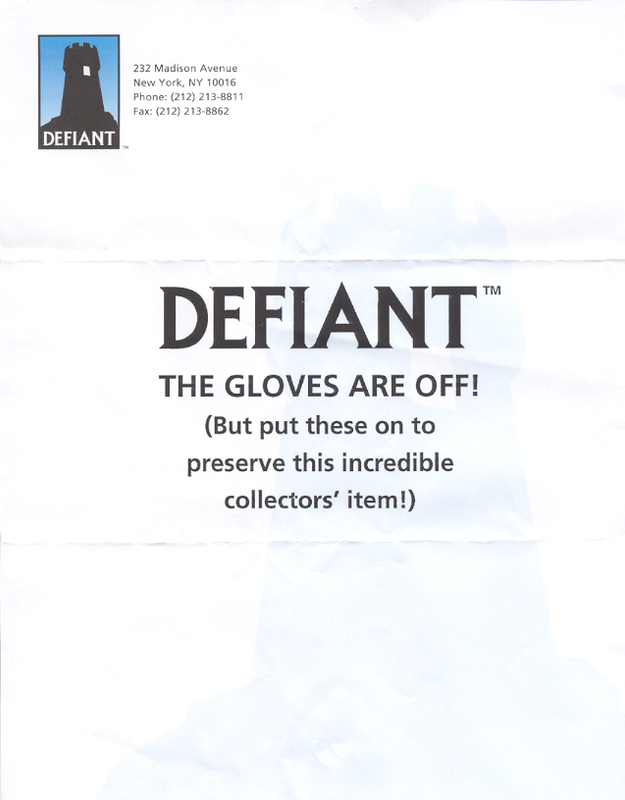 The Defiant letter and envelope though is rarer part of any set. The green label is why you don't see more of these graded. The one with gloves may be on consignment. If so, they don't own it and have to keep it with the lower grade books. The gloves are very low quality. If you bought your own, they'd probably be better quality that the ones that came with the book. In my notes above, I almost left of the grades because I don't trust them. The new grading company by Borrock (sp?) sounds superior in every way. I would not use CGC again if I was getting a comic graded. Some of the competitor slab cases and their labels look better and more fun to have and display over the hoops cgc makes fans go through. I root for them to get a bigger share out there. There's a European grading service. I'd like to see some high tech German engineered cases be put on the market. People have long been working on sets they have in the CGC registry. Those who've been putting together CGC sets they have registered, which can be a point of great pride, don't want to switch to CBCS or another service because those slabs won't be acknowledged by the CGC registry. That's a huge advantage CGC has. I think that's only important to the clique of people that post on the CGC messageboards. I truly believe that the CGC message board is filled with people who essentially are using the grade on the case as a measure of their manhood. Instead of "Mine is bigger", they are on the boards saying "mine is higher grade". Another of these popped up in CGC 9.8. This one with an opening bid of $370 and a BIN of $485. Just checked the census. There are 13 9.8s qualified, and 2 9.8s with universal labels. Best offer for this CGC 9.8 copy was accepted for $300. Above I wrote "Valman51, CGC 9.8 Qualified, $500, appears to be #84/1000 Includes Very idiotic certificate of authenticity that it came from Peter Woronecki collection (store owner of /Independence Comic Collection)"
I'm thinking now that it is #831! I blew up the image and there is a definite space between a 3 and another line. I'm looking at the COA again. It's not signed or anything and itt has a non-applicable line of text marked through. What garbage! This offends the quality inspector in me. I've kicked back paperwork for less and made vendors resubmit. His auctions have the blurriest pics especially when you try to view the numbers. This one sold yesterday for $356.99 including shipping. Raw VF copy sells for $50. I've listed the sale here. It looks like I haven't listed some. Wow. Look at some of those sales from 2003. It's cool you have documented those. A VF copy with gloves sold in 2016 for $275. In 2003 one with gloves sold for $40 and another for $17.50. In 2004 one with gloves sold for $27. Someone sold a VF for $19.99 in 2003! Wait a minute! #990 is pictured at the top of this thread! Updated the link for reading the Birth of the Defiant Universe above. The Net78 host is no more and the other pdf host is deemed a security risk by me. Recalledcomics just added the Birth issue to their site. Although he listed the gloves as "latex" instead of photography gloves. I actually interested in knowing who runs that site. My guess is that he acquired a few copies without the gloves. So he's just listing premium comics now. He lists that but he won't list Impact #1 that was recalled. LOL! I was looking at the number on the cover. Maybe he posts issues as he buys them. If he keeps with defiant he has plasm 0 and prudence caution 2 Spanish left. Then of course seven 1 and the KFC custom comics from early valiant if he knows about the shooter books. I think he's very familiar with Greg's site. Seems like it from looking at his valiant section. And maybe the vei scalpers write him constantly to post new crappy coverage on valiant variants. So they can obnoxiously re-sell even higher on their buy/sell threads. I find it hard to believe that there is a secondary market for any of that stuff. It's an EC comic from 1955. Charlton printed it, but Bill Gaines was so dissatisfied with the printing quality that he ordered them to be recalled and destroyed. The first printing has a white logo. The second printing has a yellow logo. There are no Gaines file copies of the Charlton printing. It's the first comic pictured on this web page i created. Despite it being recalled, it can be found. Not a lot of people know about it. I bought it by accident and didn't realize that I owned the harder to find version. I wrote the guy who runs the site and he didn't want to list it because it was so old. Oh, that Impact comic book. He'd probably be opening a huge can of worms if he started listing older books. Why? His site is named "recalled comics". He's opening a bigger can of worms by listing premium comics that weren't recalled. He'd have to list an absolute ton of comics and the amount of research and time would be prohibitive if he went back to the Golden Age. He can stick with the popular companies and titles. He's already opened to door to chaos by listing things that aren't recalled. More people would care about a recalled Impact #1 than they would a Birth of the DEFIANT Universe #1. My EC traffic from the web is probably 10 times what DEFIANT gets. I think of it as a $75 book, so grading fees on top of that... it seems about right to me.